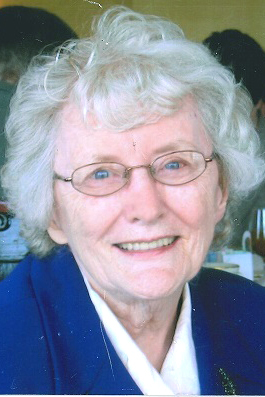 MOUNT VERNON — Jean Marie Knoske, 90, of Mount Vernon, and formerly of Howland, died Thursday morning, April 11, 2019, at the Ohio Eastern Star Home in Mount Vernon. She was born Oct. 15, 1928, in Warren, the daughter of the late Albion and Anne Griffin Vine. She was a longtime Trumbull County resident, moving to Mount Vernon in 1995. Jean was a 1946 graduate of Mecca High School. She worked for Gillette’s Country Place nursing home on North Road in the dietary department for 15 years, retiring in 1995. She loved tutoring for many years in the Mount Vernon City Schools, being a part of the “Foster Grandparenting” program. Jean was a member of St. Vincent de Paul parish in Mount Vernon. She loved spending time with her grandchildren and her family. She was an avid and constant reader and was an avid fan of the Cleveland Browns and Indians and the Ohio State Buckeyes. Jean is survived by three daughters, Anne Marie (James) Clapper of Simpsonville, S.C., Jean Louise Knoske of Mount Vernon, and Patricia L. (Dewey) Burleson of Hillsdale, N.J.; four sons, William P. (Kathy) Knoske of Melbourne, Fla., Robert W. (Deborah) Knoske of Champion, John T. (Patricia) Knoske of Howland and James J. Knoske of Helena, Mont. She was the grandmother to 15 grandchildren;16 great-grandchildren; and one great-great-grandson; and also leaves three brothers, Tom (Wanda) Vine of Utah, Bill (Marie) Vine of Bristolville and Richard Vine of NYC. Her husband of nearly 30 years, William Harrison Knoske, whom she married June 24, 1950, preceded her in death Feb. 22, 1980. One sister, Beatrice Hrimnack; and one brother, Al Vine; also have preceded in death. The family will receive friends 5 to 7 p.m. Monday, April 15, 2019, at Lane Family Funeral Homes, Roberts-Clark Chapel in Warren. The Mass of Christian burial will be 3 p.m. Tuesday at St. Mary Catholic Church in Warren. Burial will be in All Souls Cemetery in Bazetta.